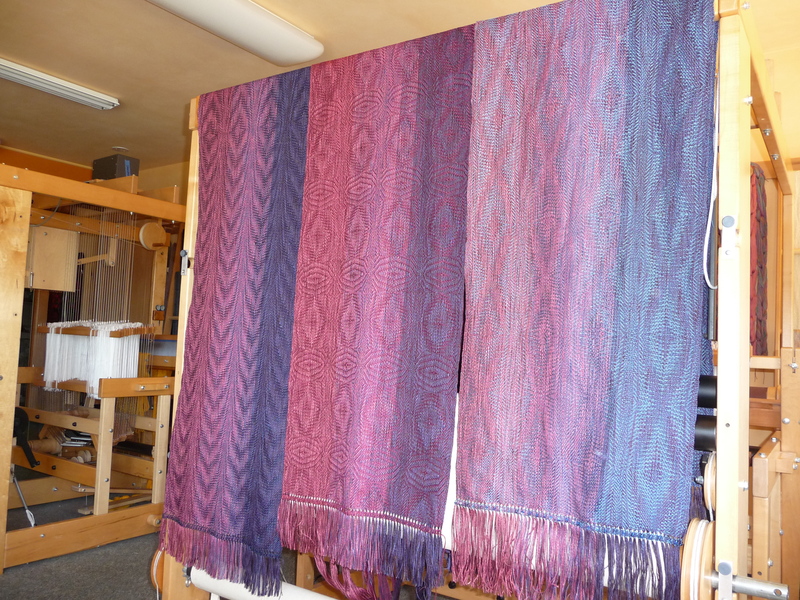 Now they go home for a gentle bath, which will relax all the threads and let the fabrics assume their proper drape and luster. Tomorrow, the iron. Next up? A run of three silk and tencel scarves in swamp greens and golds, with flashes of magenta and rust. Yummy!